Being a volunteer is not an easy job. You have to have a strong faith, perseverance and discipline. In addition to that, being a volunteer is a selfless act so you must think of others first before yourself. Applying as a volunteer is like a job application where you have to tell what you can do. However, in filling out a job application, you need to boast about your qualifications and your scholastic records. In a volunteer application, what you need to put more emphasis is on your desire to help. 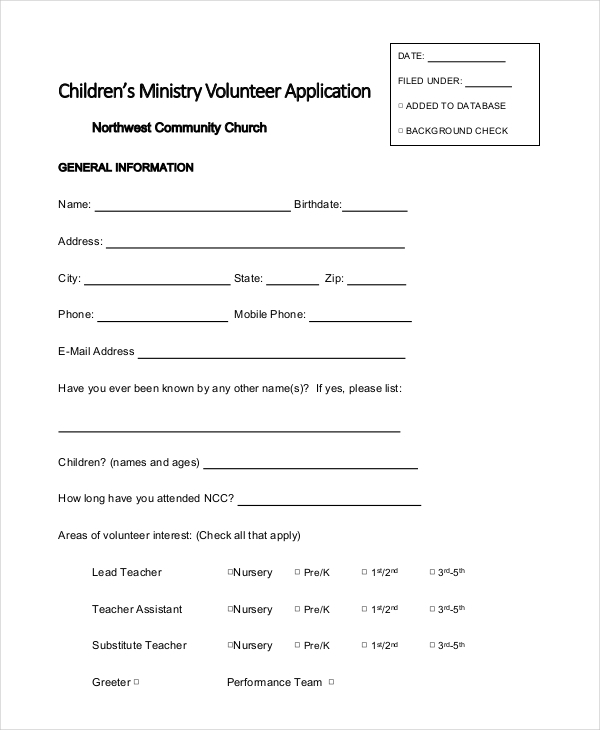 Let us understand better what a volunteer application is and how to effectively write one. 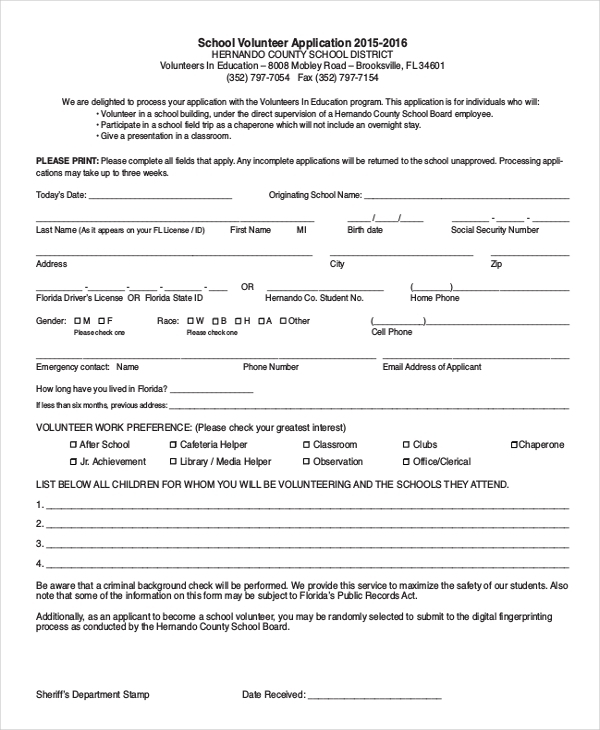 What Is a Volunteer Application? 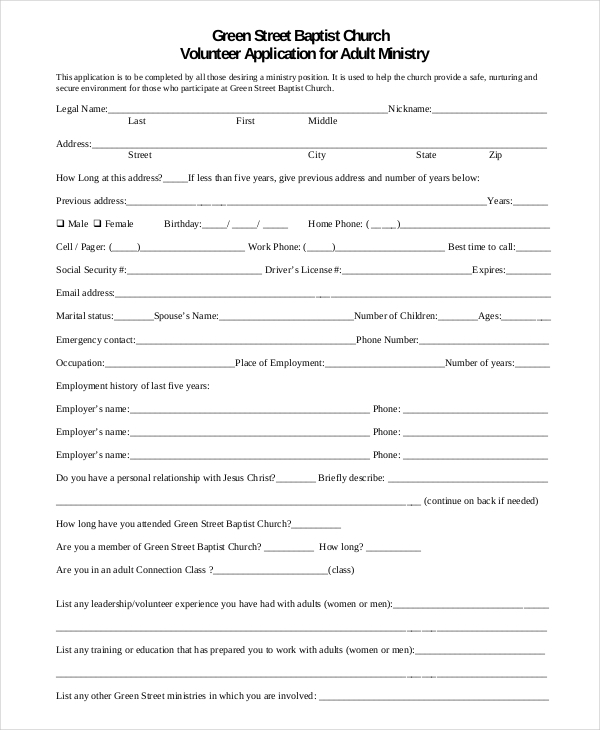 A volunteer application is a written document that contains important details about a person’s qualification and suitability for a volunteer role. 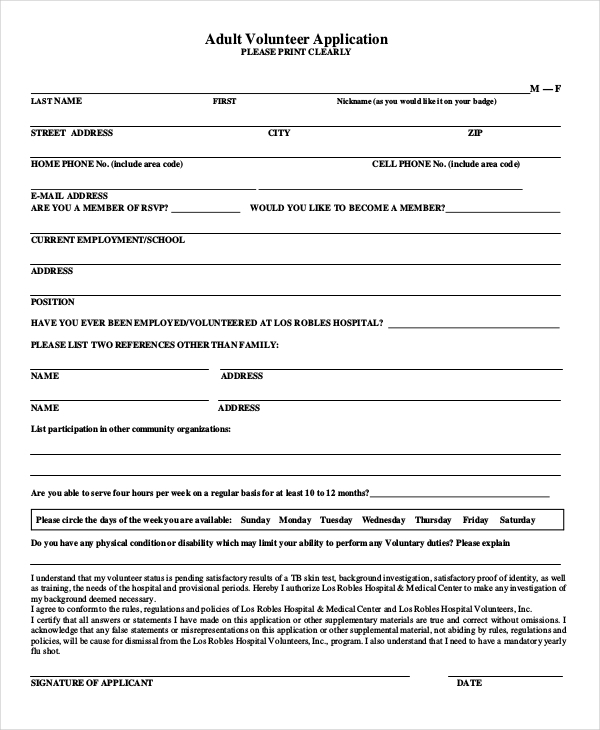 Organizations like Red Cross, Points of Light, and Habitat for Humanity use these application example to properly facilitate their screening and recruitment process. It helps them to designate an individual in the right volunteer position based on his/her experience and capability. You need to specify your accomplishments and writing skills and most importantly your desire to help without expecting any rewards. When writing a volunteer application, you need to remember the basics of writing a normal application letter. Here are the steps to write one. Write your name and contact number first. This is one thing you should prioritize and write it on the uppermost part of the first page. Stipulate your qualifications. Itemize all the accomplishments needed for the position you are applying for. List down if you have previous volunteer experience to give a heads up to the recruiters. State your reasons. You need be personal when writing this part. The more sincere you are the better chance you have from getting selected. 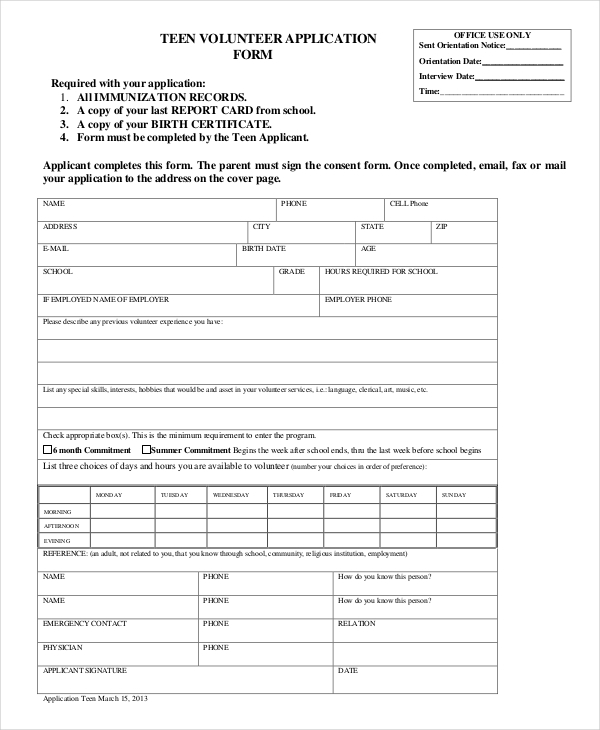 There are some sample applications which come in a form where all you have to do is to fill it up with your personal information. 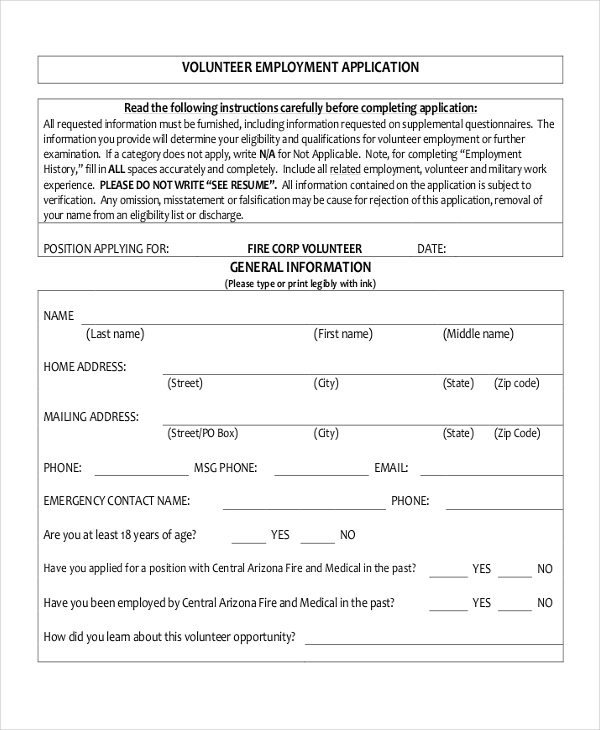 Here are the steps on how to fill up a volunteer application form. Step 1. Personal Details. The first is composed of blank spaces for your Name, Birth date, Address, etc. Step 2. Contact Details. Write your phone number, email address, and mailing address. Step 3. Experience. 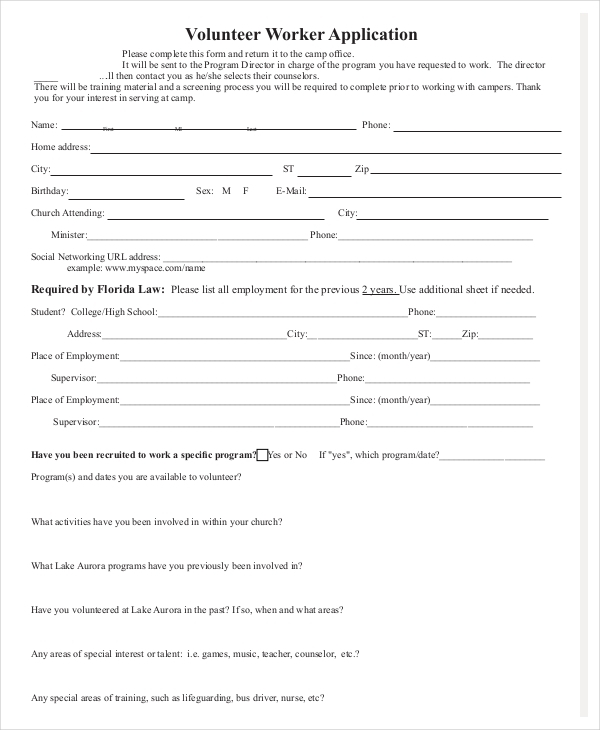 There are forms with questionnaire examples. You will be asked if you have previously worked as a volunteer and your occupation. Oftentimes, you will be asked why you want to be a volunteer. When you write an application form, you need to remember important tips to guide you. Here are some that you might find helpful. Create an Outline. Plan ahead on how you will lay down your statements in formats like statements in pdf so you can identify which ones are important. Be Personal. Write from your deepest conscience so you can have a genuine reason why you want to be a volunteer. Honesty Is the Best Policy. Do not say that you have volunteered before when in truth you have not. Recruiters might put you on a difficult task which you may not be able to handle.